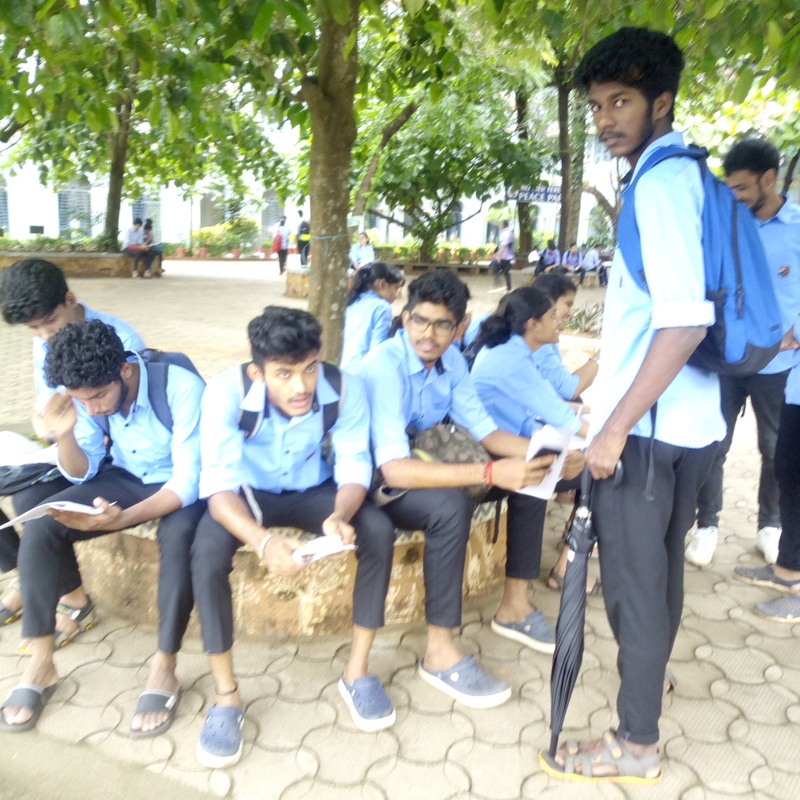 Under the shades of plenty of trees, there is an open air theatre in the Main Campus of the College which is named after Mother Teresa. The space, known as 'katte' was named after Mother Theresa on September 3rd, 2016 to commemorate the canonization of Blessed Mother Theresa of Kolkata. This space provides opportunity for students to exhibit their talents in cultural as well as in academic field. 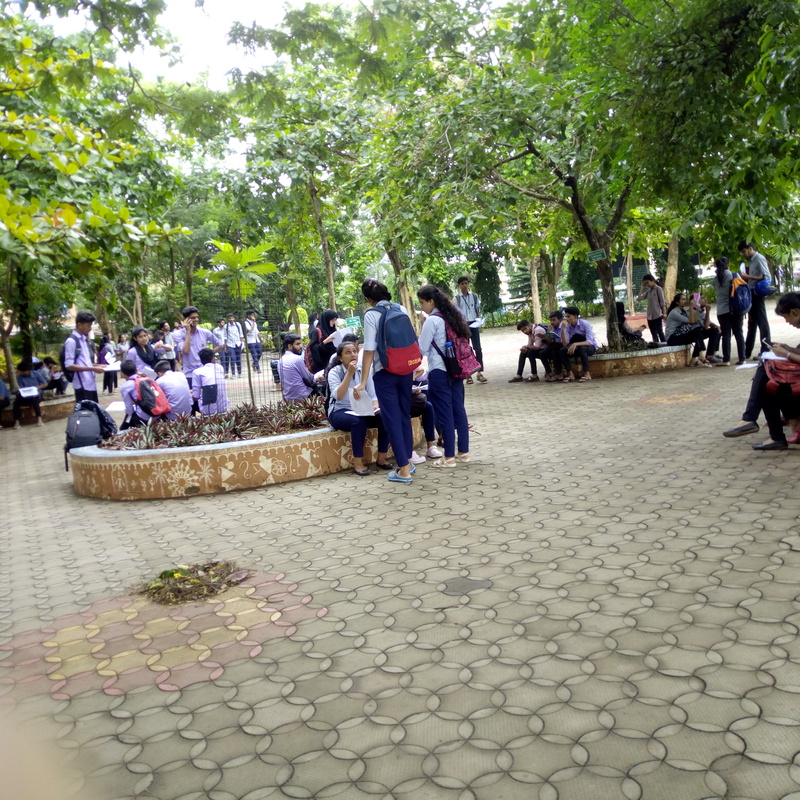 Students are actively engaged in participating in various competitions and talent shows after the regular class in this space. Mother Teresa Peace Park has an avenue with over a 100 trees created by tissue culture at Dr Kupper’s biotechnology lab in St. Aloysius College. 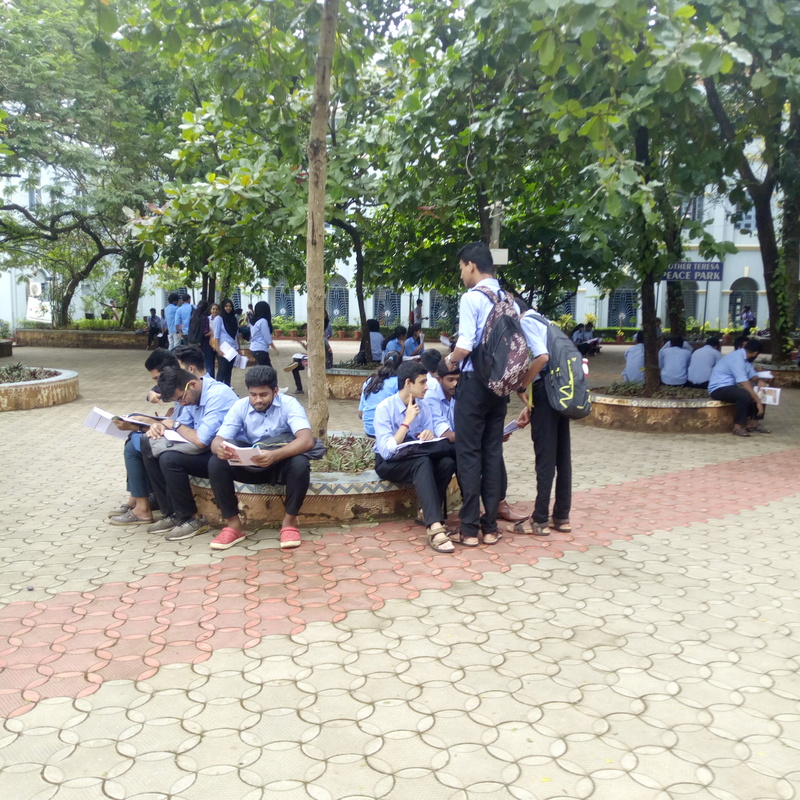 Mother Theresa Peace Park, also known popularly for generations of students as 'Katte' is a choice spot for students to do last-minute preparation and revision before rushing to exams, rehearsing carols for Christmas or generally enjoying the cool breeze of the sea (just 2 kms away from the college). Adjacent to Mother Theresa Peace park is Altorium - another open theatre which can accommodate 5,000 audiences normally used for college day and such big functions. On July 3, 2018, the College orgnaised an Environmental Awareness programme - VRAKSHANJALI. Chief Guest, Nadoja Saalumarada Thimmakka planted saplings in Mother Teresa Peace Park and inaugurated the "Tissue Culture Avenue" lined by test tube trees developed by the doctoral students of the Laboratory of Applied Biology.